The number of homes in 85083 that sold in Mar 2017 was 53 with 82 active listings for the month. The Avg. 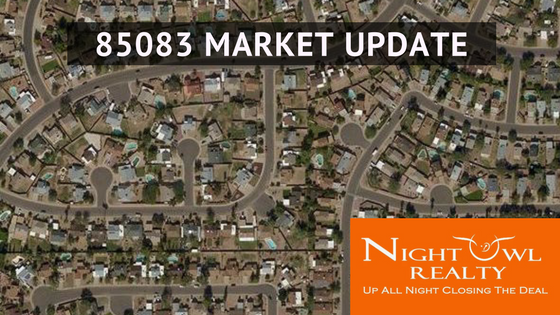 Sold Price of homes was $345,191 Up 13.8% with the Avg. List Price of $433,301 and Avg. Days on the Market was 70 days with a Closing Price Avg. of 96.9% to the Listed Price and a Avg. Price Per Sqft of $141 for Zip 85083.